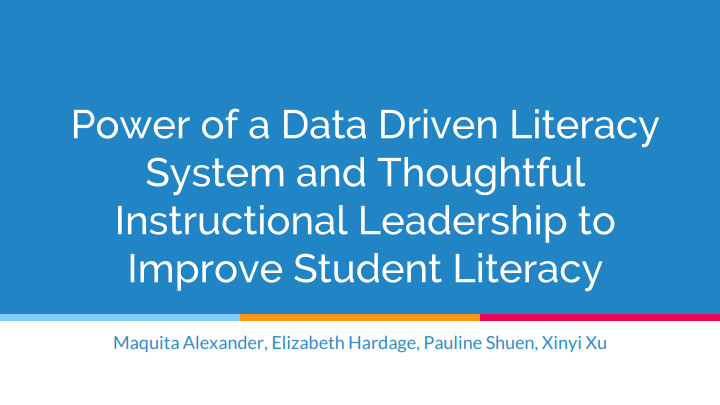 In this two part series, leaders from 3 very different schools discussed how data driven culture and thoughtful instructional leadership greatly improved student literacy. In the 1st session, participants learned the details of the Level Chinese system and how it enabled teachers to improve student literacy. But even with the availability of such system, student literacy would not improve greatly without the support of instructional leaders who created and fostered a data driven culture and defined clear roles and responsibilities. Participants heard from leaders of three schools on the “blue print” needed to effectively implement the Level Chinese system. In the 2nd session, participants learned how three schools with drastically different student populations, have used the power of big data to monitor and improve student learning. Participants learned how using clear standards, skills focused strategies, formative assessments, and a meaningful reflection cycle can have a huge impact on student learning outcomes. Participants learned the structures these three schools used to explain team members roles and responsibilities for ensuring data is used effectively by the administrators, teachers, students and parents. Participants also learned how the classroom should be set up and what students are doing while the teachers are working with students on the assessments. 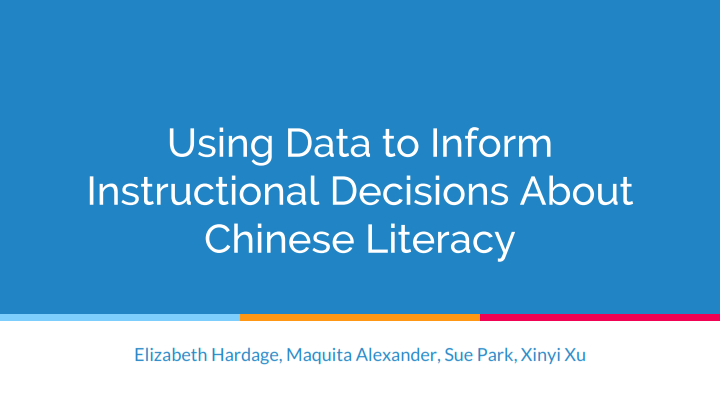 With the information gained, participants can create an instructional plan for their students that not only uses data to inform instruction, but also helps students understand how to read their own learning data to see improvements in their literacy skills.